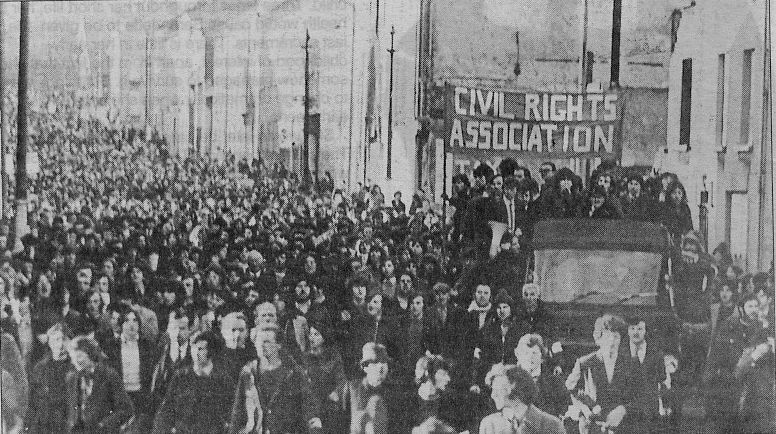 The demonstrators had been protesting against the introduction of the internment of political prisoners without trial. The Guardian did not support their cause. Indeed, the Guardian supported the initial decision to send British troops to northern Ireland, after Derry rioters succeeded in fighting of Ulster’s paramilitary police for days. British soldiers could “present a more disinterested face of law and order” ( Guardian leader, 15 August 1969), but only on condition that “Britain takes charge” ( Guardian leader, 4 August 1969). The Guardian even offered some useful advice, in case the soldiers did not know how to put down the protestors: “a curfew in the troubled areas seems essential to separate those determined to make trouble from those who are drawn in unwillingly” (leader, 16 August 1969). The paper did support the more acceptable, constitutional nationalism of the Home Rule movement in the 1880s. Similarly the Guardian’s current, Republican-sympathizing line was only adopted after Sinn Fein leaders broached an end to the armed struggle. James Heartfield lives in London, researching political movements, and economic development. His book Green Capitalism: Manufacturing Scarcity in an Age of Abundance came out in 2008, and The Aborigines' Protection Society 1836-1909 is forthcoming by Hurst.